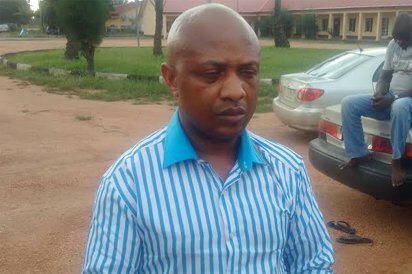 Suspected kidnapper, Evans stops attempt to arraign him on fresh charges – Royal Times of Nigeria. Suspected kidnap kingpin, Chukwudumene Onwuamadike, aka Evans on Monday stopped an attempt by the Lagos State Government to arraign him on fresh charges bordering on murder and illegal firearms possession. Evans through his lawyer, Olukoya Ogungbeje challenged the competence of the charges. He said Evans cannot be charged until his application challenging the charges and the court’s jurisdiction had been determined. Ondo State signs MoUs with 2 firms on agric projects .